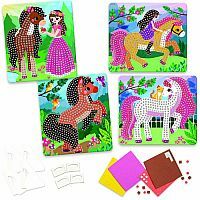 If you have someone who loves horses, they will love creating 4 beautiful sticker by number pieces. 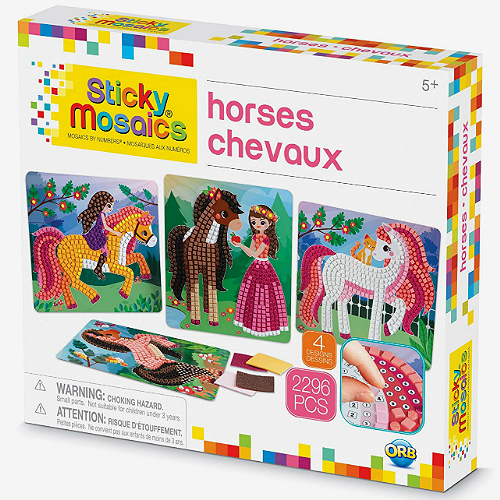 With Sticky Mosaics Horses, use the sticky tiles to make each horse. 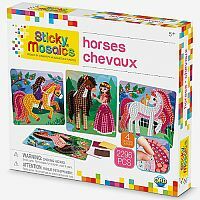 Complete this sticker by numbers kit using the 2288 sticky tiles to complete these 4 beautiful horses by using a numbered legend. Just peel and stick. Includes 4 horse designs, 3 hanging tags & stand for display. 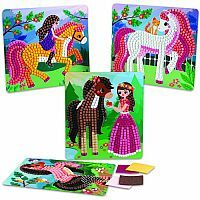 Measures approximately: 11.75 x 10.75 x 2.00 inches..